A rodeo that bans cameras, by default, admits cruelty. That's what happened this year at California’s biggest rodeo - the California Rodeo in the town of Salinas. Faced with a third straight year of SHARK cameras documenting cruelty, injuries and death, rodeo management took the coward’s way out, and we see this at more and more at rodeos today. Rodeo spokesperson Mandy Linquist claims the California Rodeo has banned video cameras since 2001, but video cameras have been widely used up until this year. This year Salinas had to contend with ads featuring SHARK's footage of the rodeo which showed terrible cruelty, and encouraged people not to attend the rodeo. The run time for the ads were paid for by Last Chance for Animals, and we wish to acknowledge and heartily thank them. In Cheyenne, Wyoming, the Cheyenne Frontier Days (CFD) has already injured seven animals to the point that they had to be stretchered out of the arena - four steers, two calves and a horse. A third calf, clearly injured, hobbled out of the arena. Cheyenne tried to ban cameras back in 2009, but relented after a public outcry. 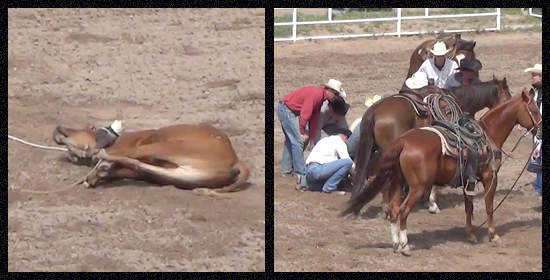 Instead, Cheyenne resorts what we call the “Cheyenne Cover-Up.” This involves rushing people on horseback onto the arena floor as quickly as possible after an animal is injured, in order to block the filming of the victim. 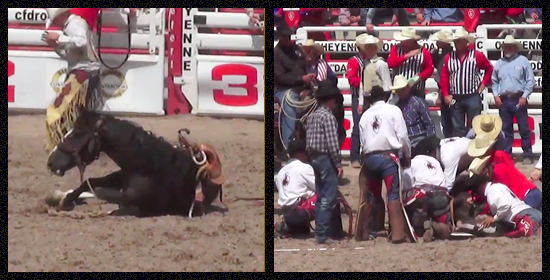 The Cheyenne Cover-Up demonstrates both the cruelty and cowardice of the Rodeo Mafia. Junk food company Coca-Cola, Gulf polluter BP Oil and Bank of the West are a sponsors of this moronic abuse. If you look at the video link posted above, I hope you will be motivated to call Coca-Cola - (800) 438-2653 - to voice your dismay with its sponsorship of outright and indefensible animal abuse. If you did NOT look at the video links, I would especially urge you to call Coke. If you will not even look at what these animals are forced to endure because it is so bad - and it is indeed so bad - please at least make a call on their behalf. Coke public relations drones will give you some ridiculous song and dance. Please demand to speak with a decision maker. Demand that you get a real answer as to why Coca-Cola is in the business of promoting animal abuse. 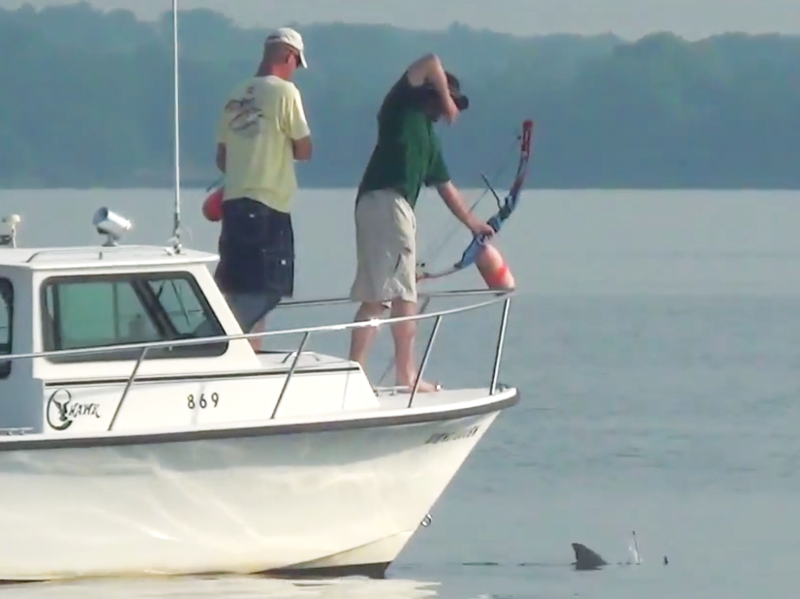 On June 13, a horrific cownose ray killing contest was held in Maryland. SHARK was there and filmed all the vicious and disgusting horror. When we released our video of the slaughter, the public was outraged; there was major media coverage, and a teenage girl from Maryland set up a petition against the killing that has garnered more than 117,000 signatures. This past Tuesday, June 21, a meeting of the Maryland Sport Fisheries Advisory Commission was held in Annapolis Maryland. SHARK, working with Fish Feel, Sea Shepard, Maryland Votes for Animals and HSUS attended the meeting to speak out against ray killing contests and ask the commission to take action. Our idea was to invite the press to attend the meeting and three TV stations showed. That was important as it showed how strong this issue is. Watch the media coverage HERE. SHARK is moving forward on multiple fronts to save these magnificent animals, and we will continue to make the long trip to Maryland to stop them from ever suffering such abuse again. Note for this article: The reporter inaccurately states that Investigator Janet Enoch claims four animals were injured at the Salinas rodeo this year. Unfortunately, his correction is still incorrect in that SHARK documented over 17 animals injured/killed at the Salinas rodeo last year. In addition, Steve Hindi refutes Mandy Lindquist’s false statement about the video ban in the comment section of the article. On July 30 - August 2, 2015, SHARK will be at the annual Animal Rights National Conference. This year the conference will be held at the Hilton Alexandria Mark Hotel located in Alexandria, VA. Steve Hindi and other SHARK investigators will speak about our animal cruelty investigations (rodeos, pigeon shoots, government deer kills, animal scrambles, pig wrestling, the merciless slaughter of cownose rays) and numerous other animal issues. 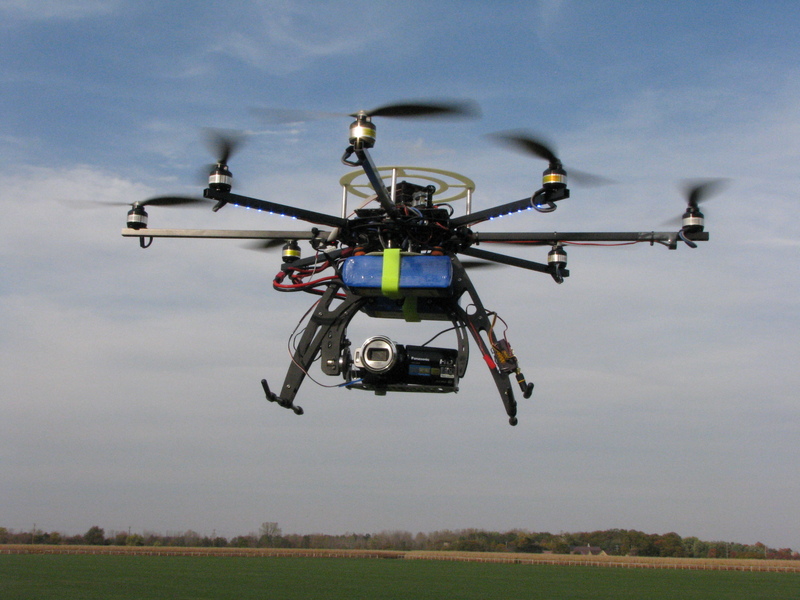 SHARK will be exhibiting our Angels - camera equipped, remote controlled aircraft. Steve Hindi will be discussing all the great work the Angels have done and can do for the animals. SHARK's other revolutionary hi-tech equipment will be on display, including our long range camera lens, and the Hi-Pod that raises a camera 31 feet into the air. SHARK will be educating and encouraging conference attendees to get more active to help stop animal cruelty. Animal cruelty is thriving and the animals need a lot more help from everyone. While you are at the conference, be sure to stop by the SHARK exhibit, we would love to see you.